The recommended daily dose of the preparation is around 150g. The product should be used in the divided doses 2 times a day, 75 g each. A single dose should be carefully dissolved in 200 ml of water or milk, using shaker or blender. I portion around 60 minutes before training, II portion 30 minutes after training. One portion two Times a day between meals. The number and size of daily portions will stem from protein deficits and energy needs in individual diets. It is worth using in the morning on an empty stomach, during longest breaks between meals and before and after training. Using immediately after physical effort will cause regeneration of depleted glycogen supplies and provide fast-absorbing protein. Using with milk with high fat content will additionally increase its energy value and the amount of protein and make the supplement portion a balanced meal substitute. Glutamine peptides are a form of hydrolyzed wheat gluten containing up to 95% of proteins, including gliadin (40-50%) and glutelin (35-45%) for increasing the digestibility. They are the source of non essential amino acids (glutamic acid and glutamine), with the catabolic potential, and with neuromodulating properties and other complementary amino acids - cystine and phenylalanine (approx. 5%), lysine and methionine (below 1%). Available in mono-preparation supplements and as a component of anti-catabolic supplements and protein and carbohydrate- protein supplements, available at www.muscle-zone.pl. They does not meet big interest, because of the low solubility and unpleasant taste. Ca-HMB is in liquid form and is a combination of calcium and beta-hydroxy-beta-methyl butyrate in a single molecule, resulting in a neutralized acidic. Benefits of calcium are discussed under the entry: calcium. 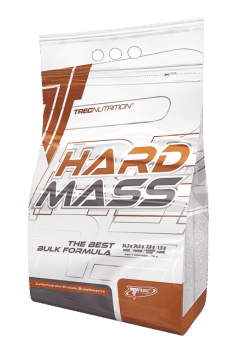 HMB is a derivative of leucine synthesized within the body. Its source may be also plant foods (grapefruit, alfalfa (lucerne)) and some fish species. The substance has a low anti-catabolic and anabolic potential, helpful for people starting an increased physical activity, it may also contribute to the reduction of body fat. It is a component of anti-catabolic supplements, creatine stacks and amino acid as well as mono-preparation supplements. Dosage: should not exceed 6 grams per day.